I found this interesting blog on Reddit a while back. I took one look and decided then and there that I would make and devour this carrot cake. Unfortunately, I got sick the next day and it lasted for two weeks. As soon as I felt up to it though, I made this amazing cake and enjoyed it until the last bite. 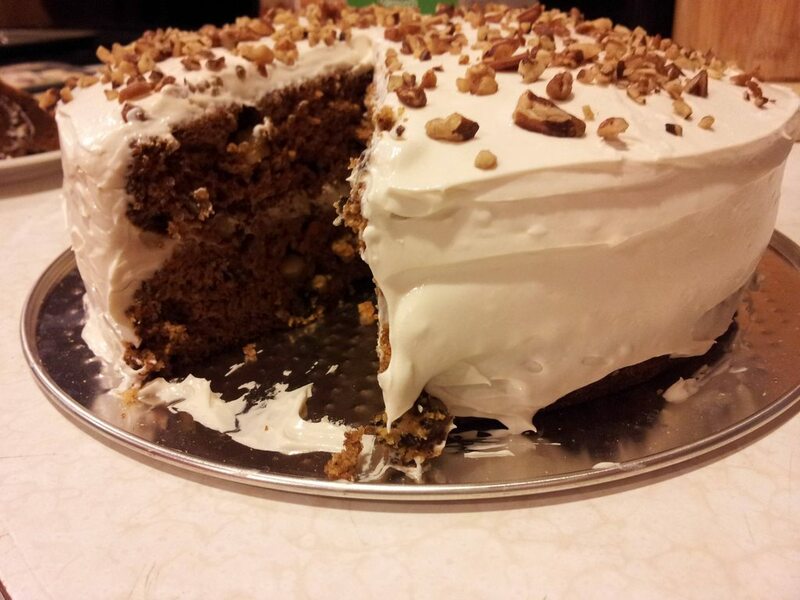 This entry was posted in Recipes and tagged agave, carrot, carrot cake, cream cheez, flour, vanilla, vegan, walnuts.